Hot everywhere. The world is changing. 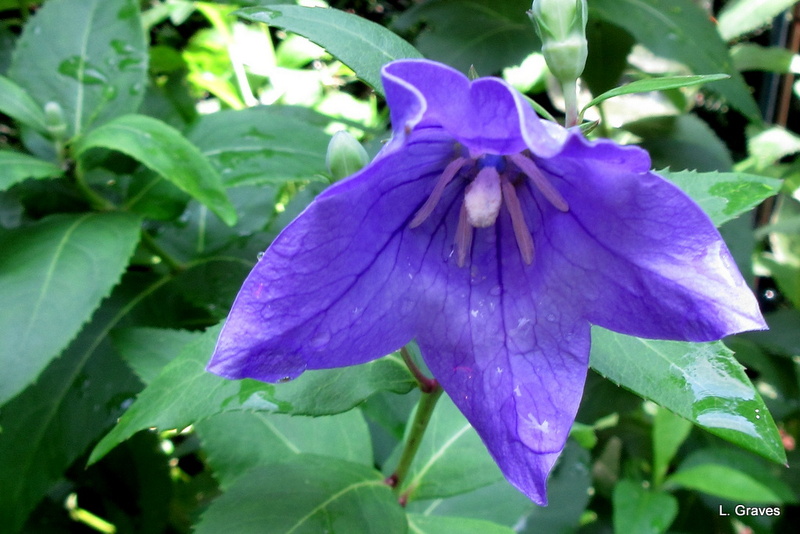 Great photographs of beautiful plants. I love that film you enjoyed and have read the book more times than I care to mention. too, last Saturday. 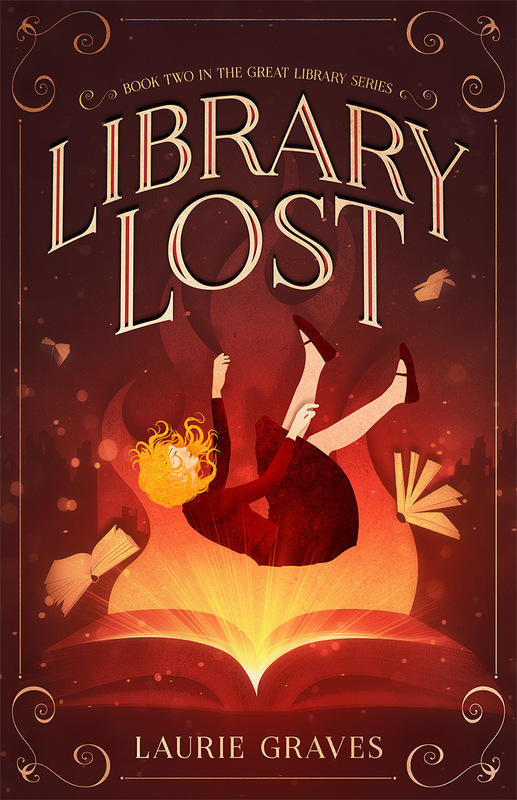 I have never read the book, but have put it on my TBR pile. I love your day lilies! They come in such fabulous colors! There is so much common ground in your post with my life. I live in South Jersey like your friend Alice. I was born in PA. 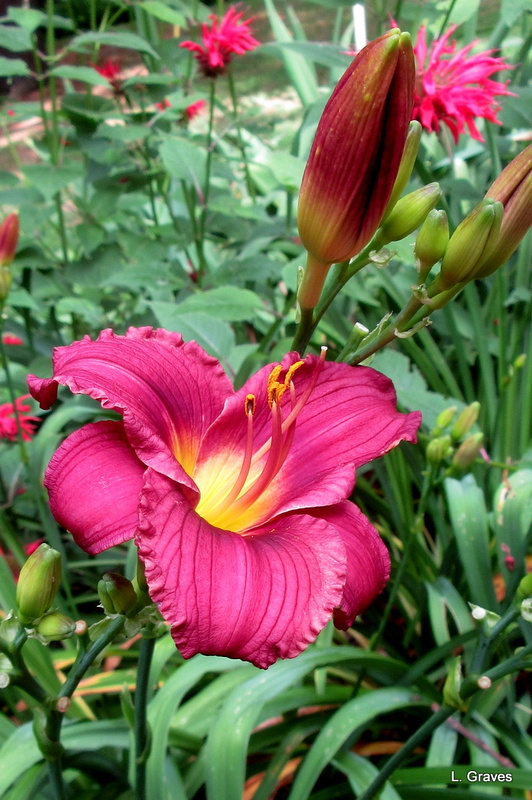 I love daylilies and all lilies…and BEST OF ALL, Enchanted April is in my top ten of favorite movies. When Melarche is in the exploding bathroom I laugh every time. The whole movie is a jewel. I watch it when I can’t sleep at night or when I feel ill. Definitely worth having on DVD. So nice! I saw the movie long ago and remember liking it very much. Yes, a DVD to own. It was also great seeing it on stage last Saturday. Oh, it was on stage…didn’t know that. I’ve seen some Youtube renditions of it on stage. How wonderful! We used to live in Sydney and I found the humidity in Summer quite debilitating. I love all your flowers. .. they are obviously thriving on the heat & humidity. Yes, flowers thrive where people wilt. Back in the day, it never used to be so humid in Maine. Your gardens are beautiful. Laurie! It is hot and bone dry here, cooking the blueberries on the bushes. Oh, gosh! It has been dry here, but not that dry. 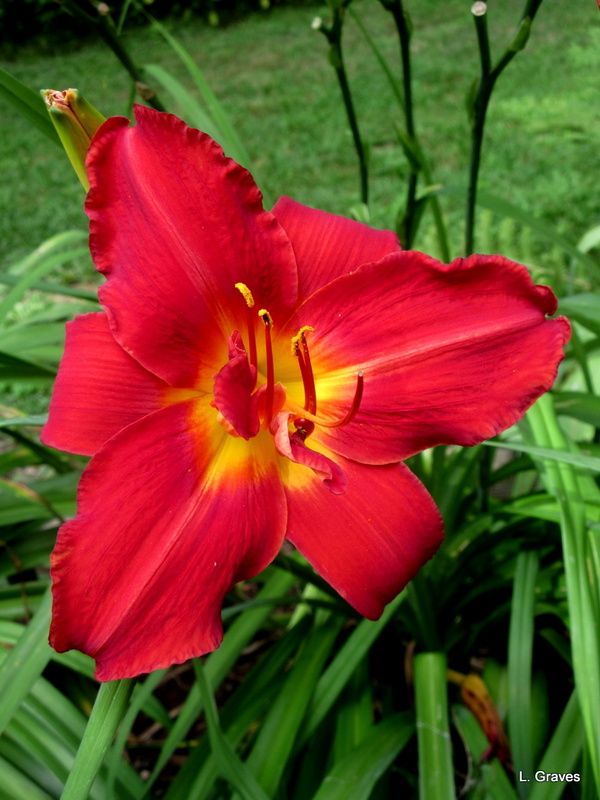 Love your day lilies! I have not had any since we lived in NJ. Someday I will get some landscaping around here! Until then I will enjoy your photos! Your flowers are lovely! 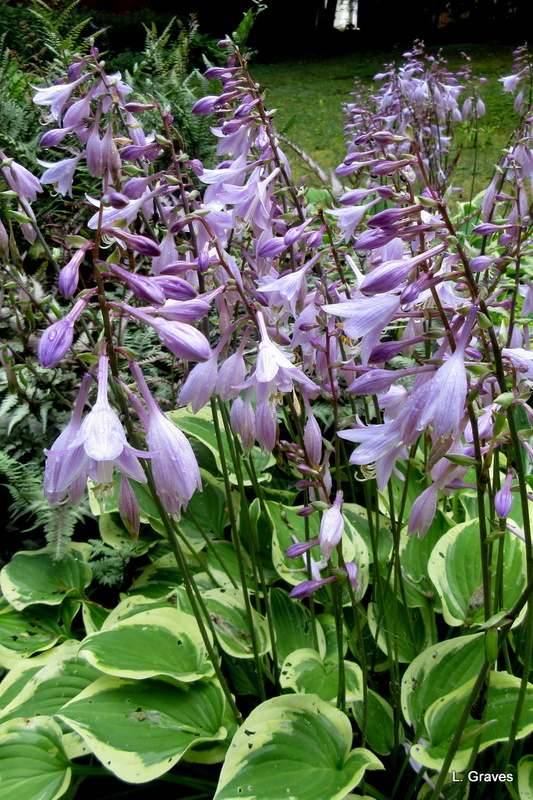 Every summer, I always think I need to get more day lilies – but where would I put them in my already-full gardens? If my yard had more sun, then I would have more lilies. Love ’em! We do, and over the past 8 years, it has gotten more extreme. Time was when Maine summers were glorious. Not anymore. Never thought we would need A/C, but we are seriously considering it. I know just what you mean. I never thought Maine summers would be this way. As I think you know, we don’t have a/c—never needed it!—but we are seriously considering getting a unit for our living room. So true. Even the mid-80s doesn’t feel too bad if the humidity is low. On the other hand, when it’s high, I feel like a wet noodle. Isn’t this weather weird? And we Yankees don’t have the AC to battle the heat–we usually haven’t needed it. Your flowers look quite happy, though! You got that right! We never thought we would be seriously considering whether we should by an air conditioner. Very different from what it was like here even 15 years ago. And, yes, the flowers are very happy. 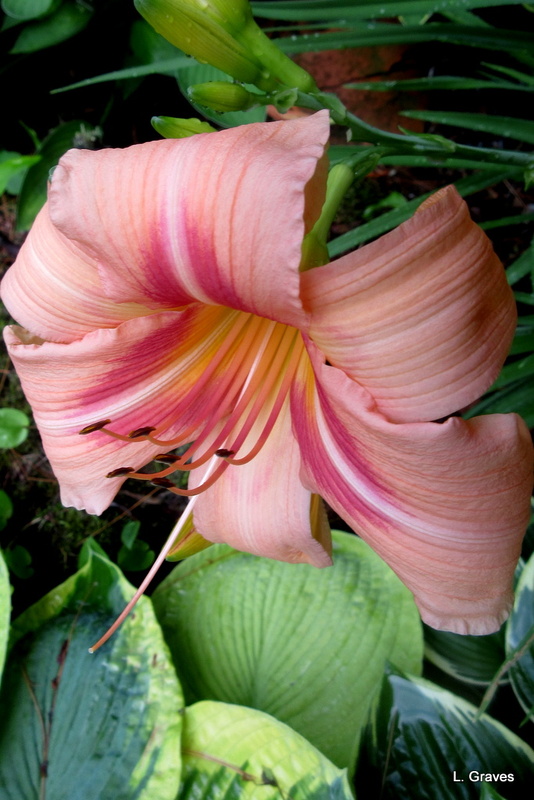 Luscious day lilies – the petals would be superb on a salad! I have been seriously thinking of going to Scotland if the hot weather continued, but it has broken now and much more pleasant – Phew! Thanks, Sandra! Glad the heat has broken for you. Still hot and humid here. Sigh. Your flowers are lovely and look like they have survived the horrible summer weather conditions wonderfully! I have no desire for time to go by faster than it already is, but I will be very happy tomorrow that we are one month closer to fall. The cold fronts have not been cold enough and the humidity has been horrible this summer. We will be escaping to the movie theater this week to see the new Mission: Impossible movie. Oh, gosh! So sorry about the tomatoes and hope the flash floods aren’t too bad. Very weird weather indeed. Your day lilies are glorious, Laurie! We have had extreme weather this year too and are just coming out of a drought. Enchanted April is one of my most favourite books and films. Thank, Clare! Hope you get plenty of rain. I have ordered Enchanted April from our interlibrary loan system. I will be reading it soon.